At RevZilla, as you may know, we love campy humor. Almost as much as we love hooking our loyal customers up with sweet deals on great products. 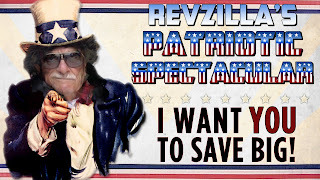 For our July savings video, we wanted to celebrate our nation's independence with a spectacular patriotic event. We were shocked when Uncle Eli (of Cinco de Moto and Dio Tribute fame) stopped by to add that extra bit of All-American flair to our 4th-of-July Spectacular. And, as always, he was absolutely hilarious. Enjoy the video and check out the exploding deals we've got this month. 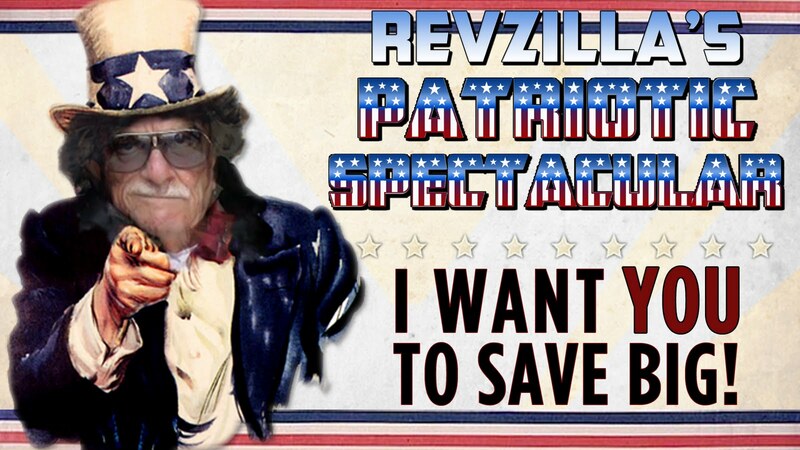 You can check out all of the products over at our RevZilla July Deals page. We've got some killer savings this month.